Alessandro Volta (1745-1827), the inventor of the electrical battery, is one of the most important historical personalities to come from Como. Evidence of his influence can be found anywhere in the city. Just follow this Volta tour and get ready to learn something about his history and life. You can start the Volta tour from Torre Gattoni (or Torre di Porta Nuova). This tower is located at the southwest corner of the medieval walls that enclose the city center. 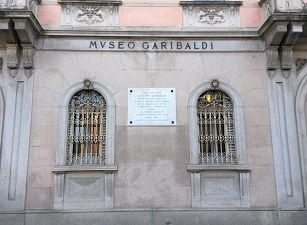 It once hosted the laboratory of Giulio Cesare Gattoni, a physicist and science lover who instilled his passion into the younger Alessandro Volta. 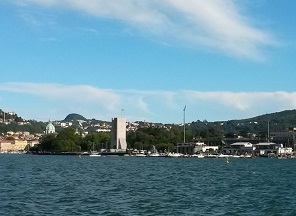 Torre Gattoni is where the inventor started doing his early experiments. 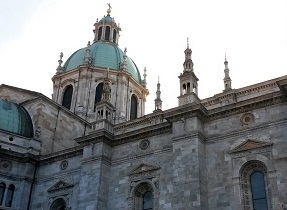 On top of the tower there was a lightning rod, the first one ever installed in Italy. Unfortunately, you can only see this tower from its exterior, together with the rest of the surrounding walls. 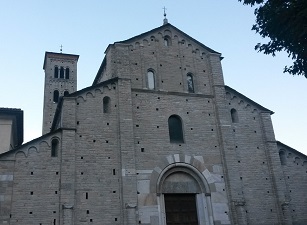 The Liceo Volta is situated in the vicinity of Porta Torre. This neoclassical building welcomes its students through a beautiful colonnade which likely dates back to Roman times. Between 1774 and 1778, the institute was headed by Alessandro Volta, who was also physics professor. The high school hosts some scientific collections and several tools used by the scientist. 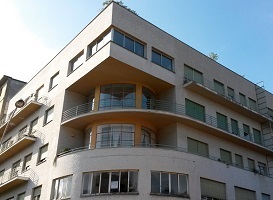 Within a short walking distance from Porta Torre, you will find Via Volta. 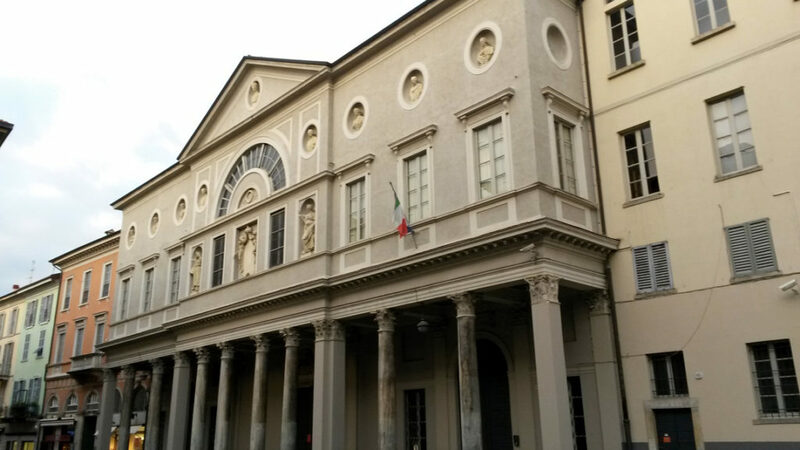 Via Volta is one of the major streets of the downtown, and above all it hosts the native house of Alessandro Volta (look for Via Volta 62). A commemorative plaque, placed to the right of the entrance door, reads as follows: “Fu questa l’avita casa di Alessandro Volta“. This is also the place where the scientist died in 1827. 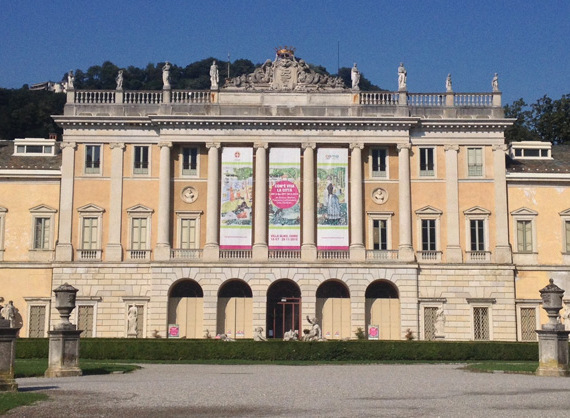 At the end of Via Volta, five minutes walking distance from Lake Como, you will find Piazza Volta. This is one of the most charming squares of the entire city. 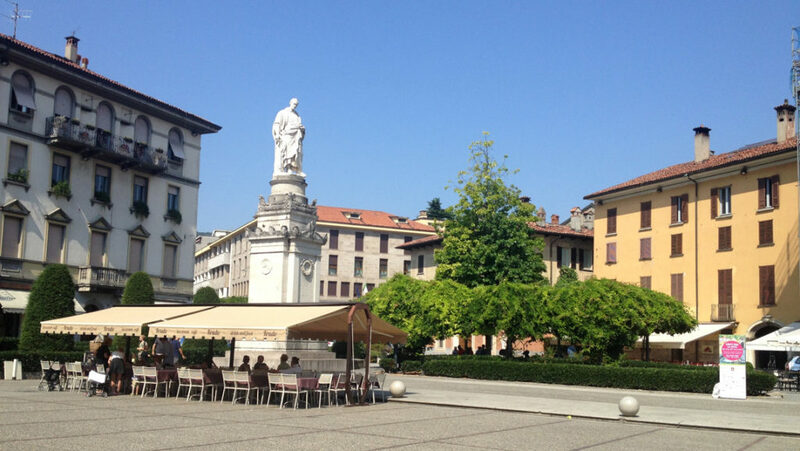 The heart of Piazza Volta, once known as Piazza Lasca (a noble family who lived in Como), hosts a statue of the scientist which was made in 1838 by Pompeo Marchesi, a Canova’s apprentice. This is probably the most important stop of the Volta tour. 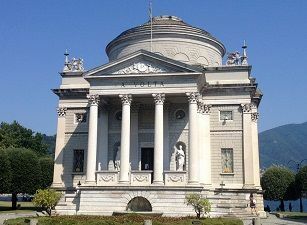 The Volta museum was built in 1927, on the centenary of Alessandro Volta‘s death, and was donated to Como by the famous industrialist Francesco Somaini. This neoclassical building was designed by architect Federico Frigerio, who created a temple taking inspiration from the Pantheon. The structure consists of a circular hall which is crowned by a central dome. 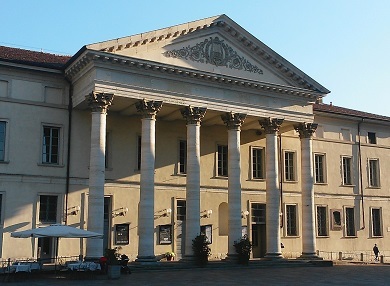 On the front, an elegant colonnade welcomes visitors at the museum. Volta museum collects many memorabilia related to the inventor’s life, in addition to a rich collection of scientific instruments and a first version of the electric battery. The temple is located in Viale Marconi, in a beautiful setting with the lake in the background. Life Electric is an avant-garde monument which the world famous architect Daniel Libeskind has recently donated to the city. The installation is located at the bottom of Diga Foranea, within a few minutes from the Tempio Voltiano, becoming the focal point between the museum and the Volta Lighthouse. 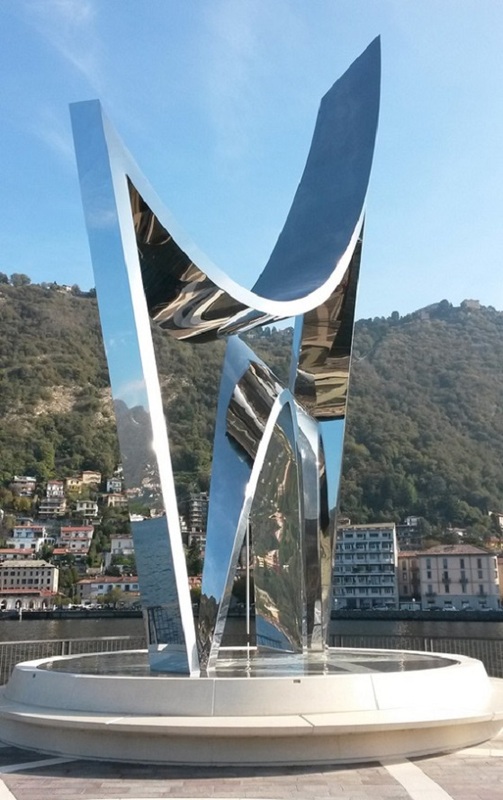 Its position in the middle of Lake Como makes it the ideal conjunction of light, water and wind. Libeskind said that Life Electric was “inspired by the electric tension between the two poles of a battery, the great gift of Alessandro Volta to the humankind. The shape of the installation is connected with my constant search for the architectonic representation of the energy”. 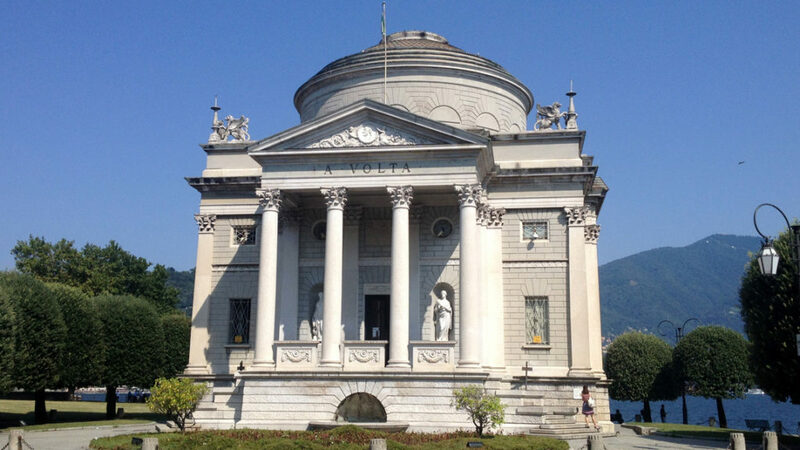 The tomb of Alessandro Volta is located in Camnago Volta, a neighborhood of Como formerly called Camnago San Martino. This was the village where the scientist spent much of his time, and to which he was very attached. The grave has a round shape and is characterized by some neoclassical features. The Volta tour can finish with a visit to the Faro Voltiano, which takes place in the neighborhood of San Maurizio in Brunate. Its location allows it to dominate the city of Como and surrounding areas. As for the Volta temple, the lighthouse was built in 1927 to celebrate the first century after the death of the scientist. Designed by Gabriele Giussani, the lighthouse is 29 meters high and emits an alternating rotating green, white, and red light, which is visible from 50 km away. Recently, the light system has been replaced by a modern led system, one of the fewest in the world. 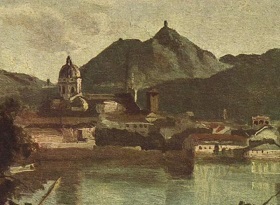 The peculiarity of the structure is its unusual location, since it’s not on the lake shore, but on top of a hill, in order to celebrate the grandeur of Alessandro Volta.